My hubby dropped into a local garage sale last weekend to pick up some gym equipment. 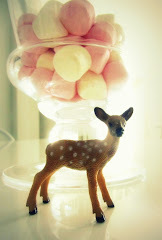 I was very impressed when he returned home with this cute $10 purchase - an adorable old fashion lolly machine! I have decided for now to keep it on our hallway table because I think that the injection of colour was needed here, plus my daughter does not seem to be reminded of the sweets so often with it in the hallway as she doe not often go down this way of the house! The lolly machine requires 5 cent coins to work so as you can imagine my daughter is now collecting 5 cent coins! What is your favourite garage sale purchase? I'm really loving the theme/design of your site. Do you ever run into any browser compatibility issues? A couple of my blog visitors have complained about my website not working correctly in Explorer but looks great in Opera. Do you have any recommendations to help fix this issue?